Although non-profits and commercial entertainment presenter/producers serve very different missions, both face the need to get the most from every ticket sold. Maximizing revenue is frequently a life or death issue. Everyone is familiar with the fragile business model of a nonprofit. But the tight operating margins and pressures to re-coup production costs of a commercial event are no less challenging. The key driver for both non-profit arts and commercial entertainment is demand, a completely situational factor that varies by market, organization, time of year, time of day, and of course, programming—what’s on the stage or in the exhibit space. To maximize revenue, the pricing strategy should anticipate and manipulate demand for an event or exhibition. Demand may be a complex cocktail of factors, but its impact can be easily measured with readily available data: unit ticket sales and their associated revenues. To get a big picture assessment on demand, we prepare an assessment of per capita revenue to determine if a client’s pricing strategy is on track, off base, or leaving money on the table. More on calculating and analyzing per capita revenue. TRG looks for a positive correlation between per capita revenues and the total number of tickets sold. (unit sales). We hope that as unit sales grow, the demand for tickets and the scale-of-house plan combine to push patrons into increasingly expensive seats. Sadly, most typically scaled houses produce the opposite – a situation in which demand pushes patrons into cheaper seats. Inventory management: Who really manages the inventory of tickets? In too many situations, the public determines which tickets are sold and which are not, creating house fill patterns that work against the best interests of the venue. Purposefully creating a plan for the public release of ticket inventory, combined with a skillfully crafted scale-of-house (or, in the case of an exhibit, when viewing times are set) insures that the venues drive per capita revenues up as the venue fills. The house also fills so that embarrassing gaps are avoided. While many marketers are fascinated by the magic of dynamic pricing, the real money is being made through the use of inventory management. Discounting: A culture of discounted ticket prices has overwhelmed many communities. The art of the deal now drives many marketing and pricing strategies – frequently subsuming rational thought and strategic purpose. That said, no individual marketer or organization can single-handedly change the world. How tickets are discounted and setting a discount rate that fits within a broader inventory management structure can allow one to play the discount game and win. Secondary Market: In the commercial world, everyone focuses on the top price for an event. Ironically, this fixation is illusionary. The typical Broadway show currently has a top price of about $135 (plus a few Premium seats at $250). The average price paid for a Broadway show? Less than $90. 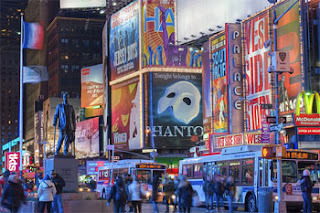 In fact, the majority of the tickets sold to Broadway shows in New York are now discounted! What’s clear is that the top price for the best seats is almost always too low (check out the prices for Book of Mormon or Wicked on a secondary market site like StubHub.com), while our studies indicate that the rest of the house is overpriced (as discounts on sites like BroadwayBox.com or Playbill.com illustrate).The secondary ticketing market is rightsizing the relationship between supply and demand every night – and doing so at the expense of the primary box office marketplace. The secondary market is not a bad place. Their goals are just different and their business model is based in a firmer grasp of the reality of price and value. Whether for a nonprofit or commercial ticketed event, per capita revenue can act as a valuable diagnostic tool for pricing, because it helps map historical demand. Anticipating demand for future productions or exhibitions can lead to recognition of and removal barriers to maximizing revenue. Still Guessing on Half Priced Tickets. Stay Tuned.